Like many villages in Tanzania, the Masai people in Mtupili did not have access to running water. Making the dangerous 7 hour trek to the river and risking being eaten by crocodiles, the Masai people desperately needed a better source of water. 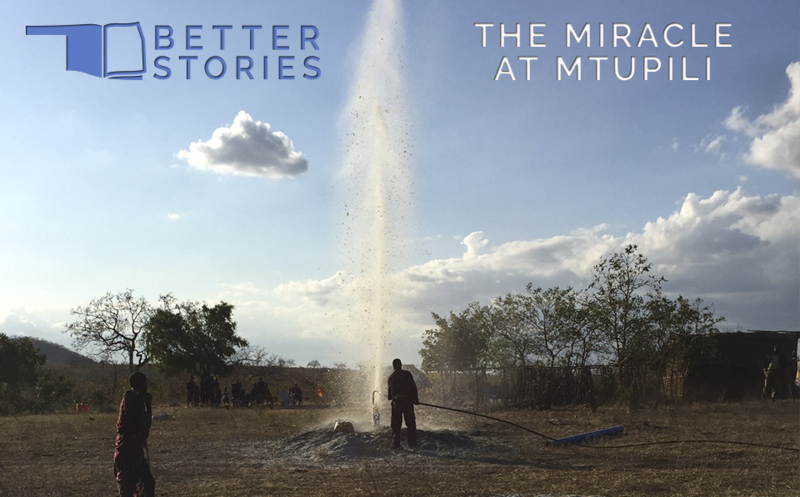 The Foundation provided funds to support the drilling of a new well in Mtupili. Engineers calculated the location of the water table, and drilling began—but not one drop of water was found, down to 100 meters. The Masai people and the mission team were heavy-hearted. Engaging in prayer, a spiritual battle was fought to regain hope for water in the well. After a few days, the local pastor went to the well site. As soon as she approached, she heard water flowing in the well! The drilling crew came to verify and found water beginning at 29 meters to the full 100 meters. God showed Himself as the Miracle-Working God. The village will no longer have people killed at the water’s edge nor walk for miles to get water. The financial support came through the Foundation because of the faithful foresight of donors. Create a legacy that lasts as a life-offering gift that could reach around the world—you can tell a better story with your life. How can you tell a better story? Contact David Battles at 800-259-6863 or dbattles@okumf.org for information on how you can tell a better story through a legacy gift.